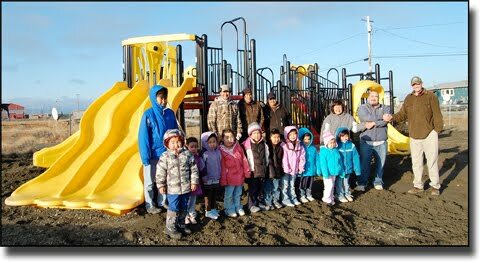 Welcome to the Native Village of Kwinhagak Community Development & Special Projects Site. This site is owned by the Native Village of Kwinhagak, and is intended to support collaboration amongst NVK Tribal Departments, NVK Tribal Contractors, Partner Agencies and other project stakeholders. We encourage you to become a website collaborator! Please obtain a Gmail account and email Anthony Caole, Site Administrator, at: anthonycaole@gmail.com. completed Kwinhagak Playground, Summer 2009.